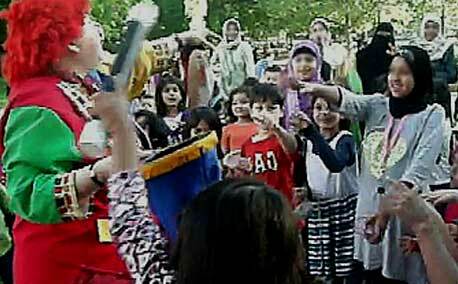 "Thank you for coming to our event and making it so memorable for the children. They had a wonderful time with you. The feedback I am getting is that the children are still talking about it. Job well done!!" 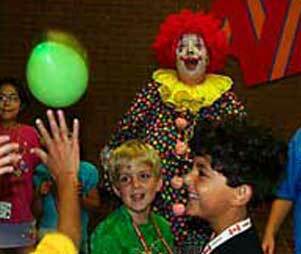 Big, interactive clown shows are big, interactive fun. The synergy of hundreds of children laughing is astonishing. Rosie the Clown makes marvellous fun for kids and their families with interactive entertainments for audiences of up to five hundred. Rosie's shows are full of comedy, magic and music for everyone's delight. They're fantastic for community festivals, corporate picnics and parties, family reunions and weddings, and at schools, libraries and camps. Rosie the Clown has a show that's just for children, and one that actively engages grown-up members of the family, too. Everything wonderful that happens in the show is done by the children. They make the magic, and they are amazed by it; they create the laughter, and they roll on the floor with it. 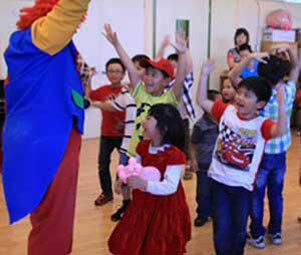 Rosie the Clown inspires the children to experience the extraordinary fun that's inside them. 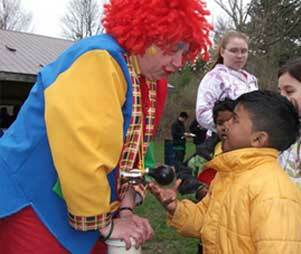 Read what parents and organizers say about Rosie the Clown's fun-filled, interactive shows on the reviews page. 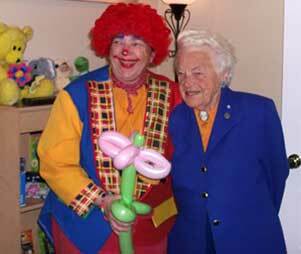 Rosie the Clown customizes her entertainment to fit your celebration perfectly. For Eid, Diwali, Christmas and Purim parties, for national days and annual picnics, and for every reason to celebrate as a community, call Rosie to boost your event's happiness level.